The three 600GPM non-excavation mud recovery systems ordered by Asian customers have been prepared after strict production, assembly and test procedures. The 600GPM non-excavation mud recovery system is compact and easy to transport. Customers design GN Solids Control. The concept and productivity are very satisfactory. In the field of non-excavation mud recovery system generation, GN Solids Control can design product solutions according to the actual situation and needs of customers, reduce costs and improve efficiency. Our customers are very satisfied with this. The three sets of 600GPM non-excavation mud recovery systems ordered by Asian customers are the same. The main products are vibrating screen, desilter, 40-foot standard mud tank, mixing funnel and sand pump and other auxiliary equipment. 600GPM non-excavation All equipment and electrical components on the mud recovery system are equipped with international famous brands such as Siemens, Schneider, ABB, etc. The mud-removing cyclone is made of high-wear composite polyurethane material, all equipment paints are selected from marine anti-corrosion paint, and all accessories are internationally renowned. Brand names are interchangeable. The 600GPM non-excavation mud recovery system fully meets the needs of the local market for tropical climate environment construction. On-site Asian customers can maximize the use value of each equipment during use, and achieve the best mud purification and recovery effect. 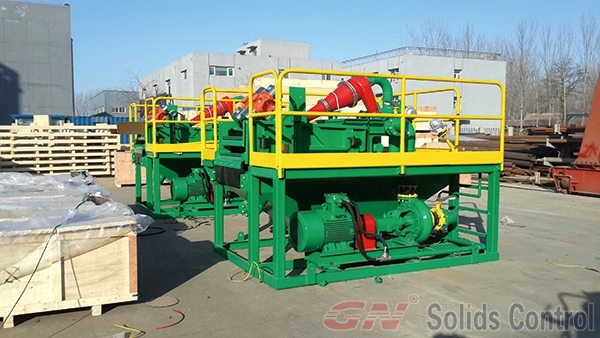 GN Solids Control has a great reputation and praise in the production of HDD non-excavation mud recovery system. After years of product design and practical experience in the field, GN Solids Control has finally made customers choose to cooperate with GN Solids Control. New and old customers come to visit the GN Solids Control factory to discuss cooperation.